Summertime means it’s citrus season! And that makes me so happy because there are fewer flavors I like more than lemon! I am always so jealous of people who live in climates that support having a lemon tree in your own back yard! That has to be amazing!! This past Fourth of July, instead of making the traditional red, white, and blue treats, I decided to make this lucius lemon tart. A good decision for sure!! The kids were excited that they got a whole big slice to themselves! The crust on this tart is like one big butter cookie and the filling was just the right blend of sweet to tart ratio! Place all crust ingredients in the bowl of a food processor and process until a ball of dough is formed. Using finger tips, push the dough onto the bottom and up the sides of a 12 inch tart pan that has a removable bottom. Place the tart pan on a cookie sheet for easier handling if desired. Bake the crust for approximately 10 minutes. Remove from the oven and using the back of a wooden spoon, push the dough down around the edges of the crust to make sure the filling has a place to rest. Place the crust aside while you prepare the filling. Make the filling by whisking all ingredients together. Pour the filling through a fine wire mesh strainer over the crust until the crust is full with the filling. Place in the oven and bake for approximately 25-30 minutes. If the filling begins to brown then remove it immediately from the oven. Place on a cooling rack until cooled completely. Dust the top with powdered sugar and garnish with raspberries if desired. 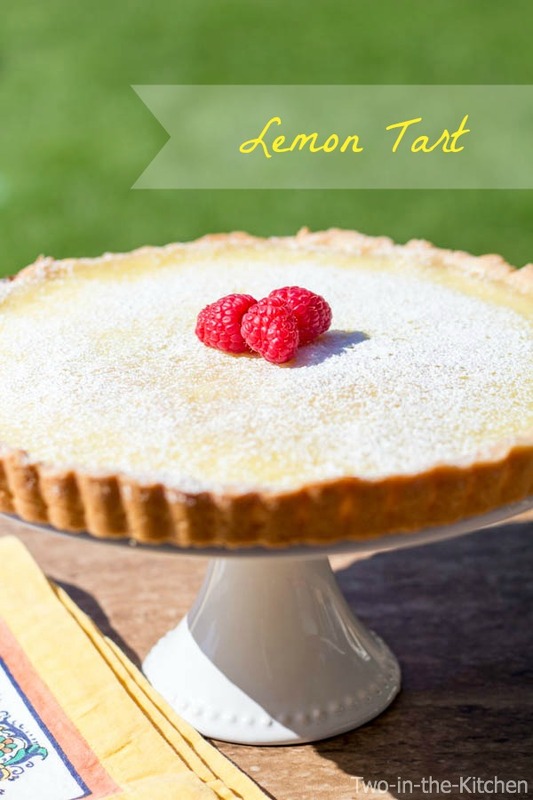 This lemon tart is calling my name! I can’t get enough of lemon no matter what time of the year. 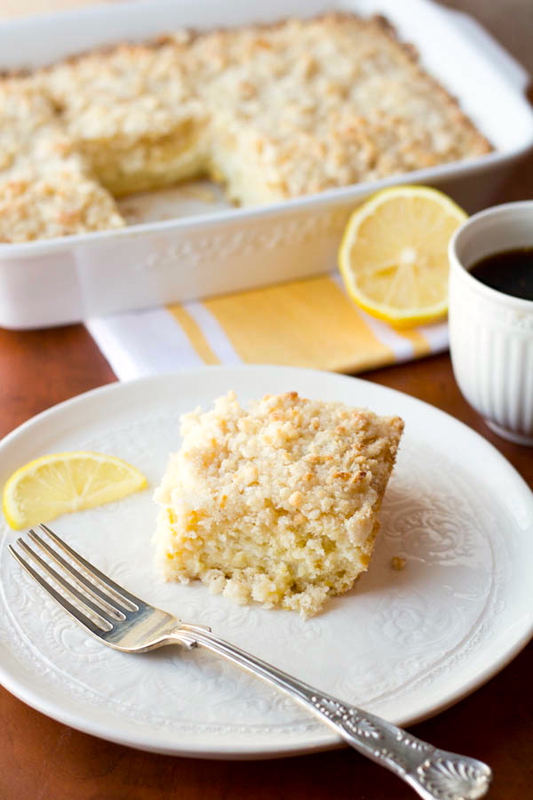 I’d love a slice of that lemon coffee cake too, please! You bet Ashley! 🙂 I totally agree about lemon all. year. long!! 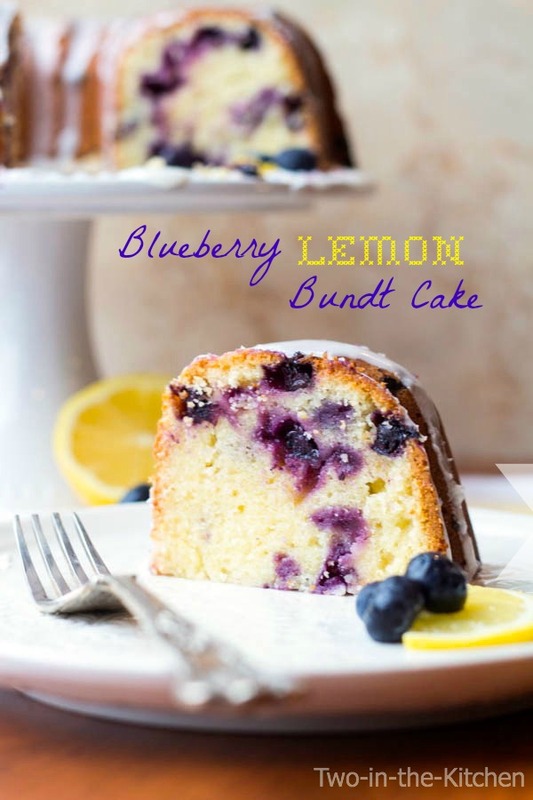 Lemon desserts are totally the way to go in the summer time! This looks deeeeelicious! 🙂 That crust is really calling out to me!! Wow what a sweet looking tart! Love to serve that up to my dinner guests! I adore lemon everything. Great minds think alike…I just made some small lemon tarts. This looks perfect and delicious! Oh, I love small tartlets! They are so cute and adorable!! 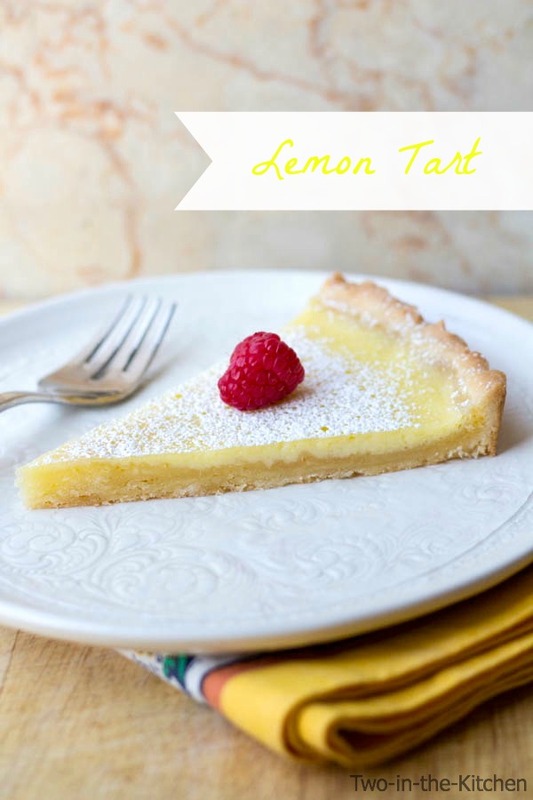 I love lemon, too, and this tart looks so delicious! I don’t have a lemon tree yet, but need one, especially since lemons are $1 a pop here in CA right now! Even in California?? That is CRAZY!! The lemon tart looks fabulous! Looks beautiful! That plate you have it on is so pretty, I love it! 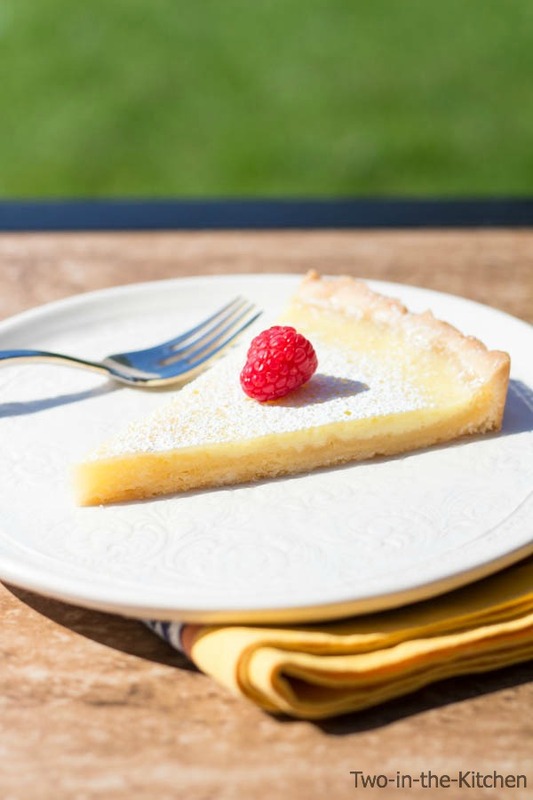 We love your beautiful photos of this Lemon Tart and would love to have you as a contributor to our site! Our policy is that if you took the trouble to cook it and photograph it, we should feature it! Hi, for how long can I store this tart in the fridge? Thanks!